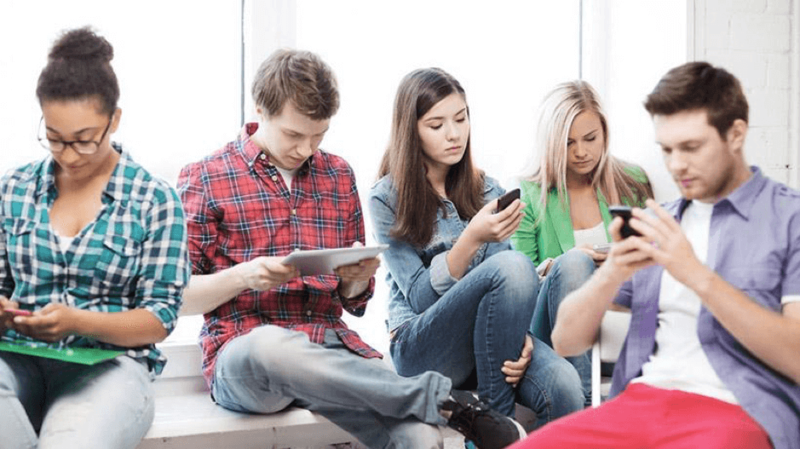 How do you engage with the young (online) target group to offer relevancy during their entire talent journey? This is an important target group for Albert Heijn. Of the 70,000 part-time employees at Albert Heijn, around 85% are under 25 years of age. What appeals to young people about working at AH? A job at Albert Heijn is more than a way to make money. As a young adult, you will discover your first competencies here, and a part-time job has an impact on your daily life. Therefore, Albert Heijn’s claim to offer what is “possibly the most important job in the Netherlands” is bold but justified. Who didn’t start their career at Albert Heijn? It is estimated that 15% of the Dutch labor market under the age of 30 will have worked at AH in 2020. Albert Heijn has an ambitious strategy and challenging growth plans. But the question is, how do they realise them? Through customers! Happy customers to be precise, because these are loyal customers who buy from AH and come back. Focus on the customer is therefore essential and what you need for happy customers are: nice stores, a good assortment and efficient logistics. Who takes care of that? Right, the employees! They're the ones who ensure there are beautiful stores. Employees make the difference. Happy, well-functioning employees lead to happy and satisfied customers, which leads to the realisation of the growth plan. By doing this, Albert Heijn successfully aligned its talent acquisition goals to achieve business success. This is why Albert Heijn focuses on quality of hire as a leading metric to improve the candidate journey. Albert Heijn is looking for more and more digital channels to communicate with its potential employers, not in order to minimise human interaction but rather to speak the same language as their target audience. Their digital strategy optimises the interaction with the target audience from the point of efficiency and effectiveness. Interactive video is a powerful vehicle for communicating your EVP (employee value proposition) and for giving the target group a realistic job preview. It’s a fun, engaging way to interact with young adults, and it can have an even higher return on investment (ROI) if it’s combined with mapping the talent journey. What does the target group have to know to enable them to make an educated decision? The power of interactive video is the freedom to choose your own path within the (video) journey. 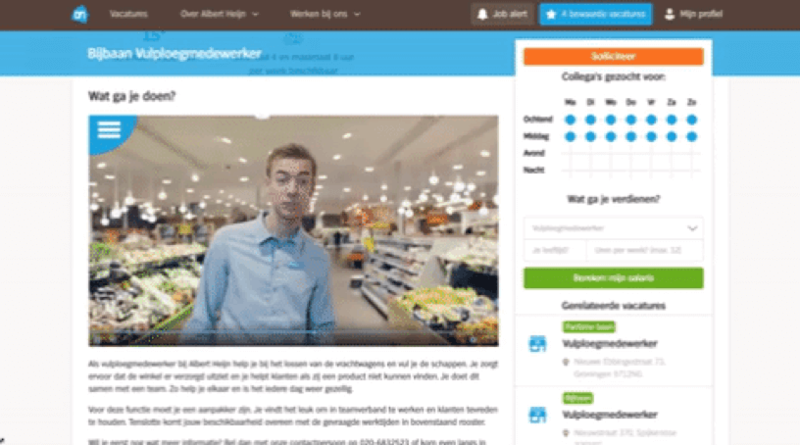 The video enables candidates to discover Albert Heijn as a potential employer from the angle and in the order they wish. Do they want to know more about the future manager or get to know their potential colleagues? See the shopping floor or peek into the lunchroom first? The candidate is free to choose. An interactive recruitment video invites the viewer to interact with the content, instead of just passively consuming it. This not only results in higher viewing minutes, but it can also be an indicator of a high-quality applicant. You can influence the quality of hire by optimising your video content to the needs of your target audience. In order to optimise video content, talent acquisition and employer branding specialists need to utilize their video metrics to collect better data to improve the quality of hire. Interactive video is especially good for this as you can see exactly which areas viewers are clicking on or which they are skipping. This data, in combination with other valuable metrics—such as hire rate, heat maps and viewer trends—can help you pinpoint areas that are performing well or that are weak. After analyzing the data in June 2018 containing +25.000 applications and +3.000 hires, we saw good results compared to the situation with lineair (YouTube) video content. During the Online Video Event on 28 June 2018, Albert Heijn’s Martijn Ulehake gave a keynote presentation about the impact of interactive video. Next to interactive videos, there are other interactive elements that can enhance engagement on your career website. Albert Heijn makes use of the following smart solutions. Albert Heijn gives top talents insight into their earnings and work schedule, enabling them to get a realistic view of their working conditions. Visitors who have filled out the calculator and interacted with the work schedule are 37.2% more likely to complete their application than visitors who don't. Travel time is a deal breaker for accepting your dream job. Recent research shows that 64% of employees in the Netherlands investigate the expected travel time before applying for a job. They check e. g. traffic-sensitive routes, when they orientate themselves on a new career move. At Albert Heijn, these findings have even bigger impact. There is a link between the success (employment duration) of a shop employee and his or her proximity to the employment location. 82% of shop employees live within a 2 km radius of the branch. That is why we have added a prominent travel time calculator to the site to give top talents insights into their daily commute. When you know your target audience’s needs, interactive videos are a great way to show them the details about your company and the position they are eyeing at. Because the video triggers them to take action, it encourages them to spend more time learning about the vacancy and about your company. The more they know about the vacancy, the more probable it is that their expectations will meet reality. They know what to expect from the vacancy - and they are OK with it. Their interest in the vacancy is serious, and your quality of hire is better.